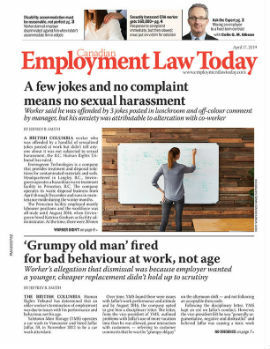 English Prestige Builders Ltd., a Brampton, Ont.-based company that provides real estate project management services, has pleaded guilty to failing to ensure that the health and safety of workers on its worksite were protected and has been fined a total of $100,000. One worker died and another was severely injured when a concrete wall collapsed on a project site. On Oct. 28, 2011, four workers employed by Immaculate Scrap Metal Disposal of Brampton were working on a demolition project at Cosmos Furniture in Brampton. Immaculate Scrap Metal Disposal had been hired by the constructor, English Prestige Builders, to undertake the demolition of an interior concrete block wall. The wall, which was about 26 feet high, collapsed on two workers; two other workers were present but not injured. The demolition and wall collapse were recorded on surveillance video. One of the workers was fatally injured and died as a result of multiple trauma. The other worker suffered severe injuries to the back, chest and pelvis. An Ontario Ministry of Labour investigation concluded that the wall collapsed because an inadequate demolition procedure was used. English Prestige Builders pleaded guilty to two counts of failing as a constructor to ensure that the health and safety of workers on the site was protected, and was fined $75,000 for the worker fatality and $25,000 for the injury to the other worker. The fine was imposed by Justice of the Peace Eileen Walker.